The perfect excursion for those who love history and architecture. 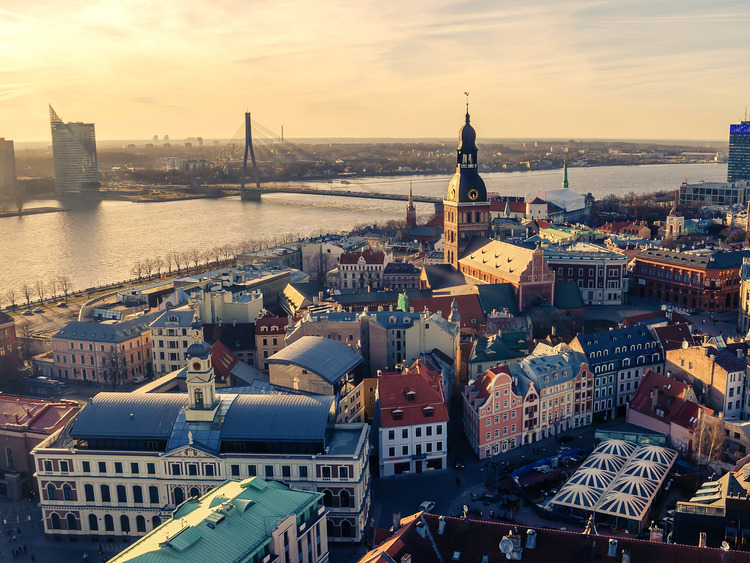 We will visit the most important monuments and museums in Riga, plunge into the city's past, and enjoy a folk performance for a complete cultural experience. We will visit Riga, the capital of Latvia. Founded over 800 years ago, it has come under the control of various world powers over the centuries due to its geographical position. It was finally able to obtain its independence only in the last century, allowing it to become one of the most cutting-edge cities in Northern Europe. Today, it is the largest city in the Baltic States with a population of nearly one million. The first stage of our excursion to Riga is the Gothic St. Peter's church which, with a height of 123 metres, was the highest building in Europe until the Second World War. Two more famous churches on our route will be*St. George's* and St. John's, with a courtyard of the same name, now home to a museum of applied arts. The Old Town will win us over with its characteristic Three Brothers complex, three adjacent medieval buildings so-called for their physical similarities, and the two buildings known as the "Small Guild" and the "Large Guild"- originally built to monopolise traffic through the city, they are now home to the Latvian Philharmonic Orchestra. During the visit, we will attend the famous folk performance with children aged from 3 to 18. Once back on our coach, we will travel along the roads of central Riga, admiring the numerous examples of Art Nouveau architecture dating back to the turn of the 20th century: some say that Riga has the richest collection of Art Nouveau architecture in Europe (or even in the world). On our route, we will pass the Freedom Monument, a symbol of Latvian independence, which was erected in 1935 and survived a destruction attempt during Soviet occupation. The statue is now protected by guards who change over every hour. But our visit will not be all about architecture, as we will also get the chance to observe the way the citizens of this fascinating Latvian capital live.